As Jesus’ second coming approaches, the Bourbon, Rolla, and Sullivan churches in south-central Missouri have a Spirit-led desire to be “growing together” (see Ephesians 2:21-22) in the bonds of faith, hope and love. So, last fall, the three churches committed to gathering for fellowship, worship, or service projects at least once a quarter. 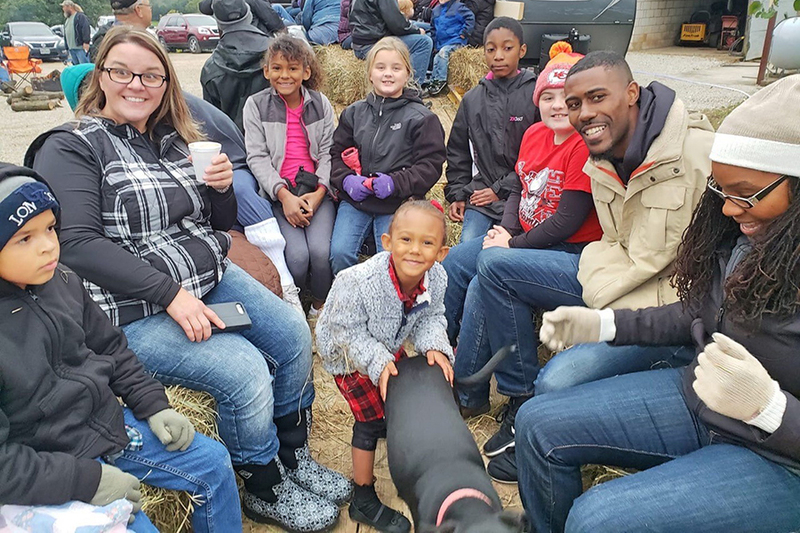 The first gathering was a hayride social at the farm of Rolla members Ira and Diana Thompson. The crisp fall evening was perfect for snuggling in blankets surrounded by hay. God’s creation was overwhelming as the beautiful starry sky appeared in the darkness. Soup, salad, and desserts topped off an evening of meeting and greeting for members and non-members alike. Everyone was thankful for the opportunity to be spiritually warmed in fellowship. The second gathering, recently held at the Bourbon Church, was an evening communion service to celebrate the new year. The church’s beautiful stained-glass windows overlooked an almost standing-room-only multitude as they praised God with songs that made the rafters of the old church ring. Inspiring testimonies were given by a new member from each church. The foot washing service and celebration of the Lord’s Supper, depicting Christ’s sacrifice on Calvary, moved the members to love others as He has loved them. Afterward, a light supper of soup and sandwiches was served in the gymnasium. The children had a great time playing, while others reunited with old friends and made new ones. The churches praise God for these spiritually-enriching opportunities, and they all look forward to the next district-wide event this spring. Donna Kleinigger is a member of the Rolla Church.